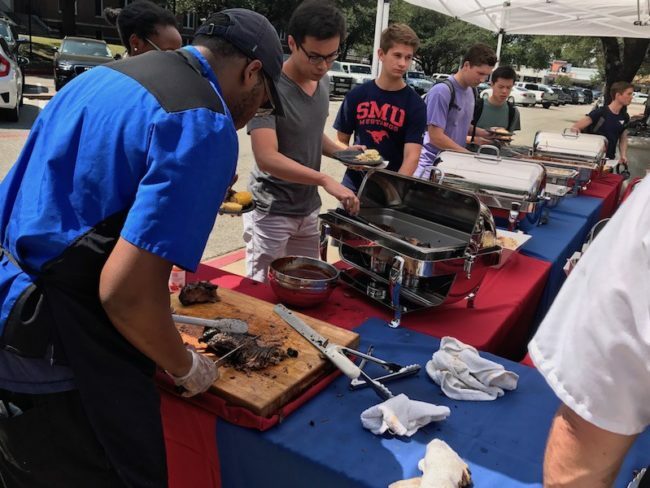 SMU dining held its annual “Fry the Frogs BBQ” outside of Umphrey Lee Dining Hall on Friday to heat up the SMU vs. TCU football game rivalry. 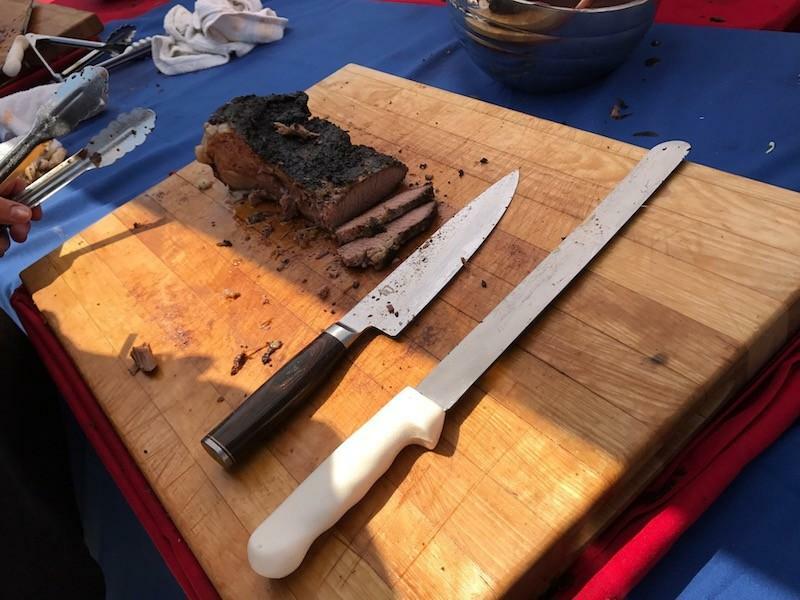 The tradition of serving barbecue the day before the game celebrates the competitive spirit. 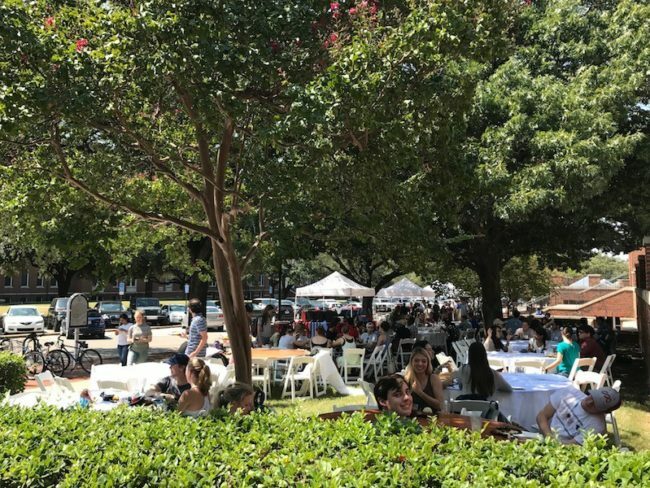 Students flooded the street and table in front of the dining hall for a festive feast and friends. “It was a little nice surprise that we don’t need to eat the same things as we eat the other days,” student Cameron Police said. The BBQ offered students a variety of unusual options to kick off their weekend, all resulting in positive reviews. “This is amazing! I love barbecue!” student Alex Yang said. The SMU vs. TCU football rivalry started in 1946. Every year since the first game, the winner has received an iron skillet as a trophy. “The tradition is really interesting. 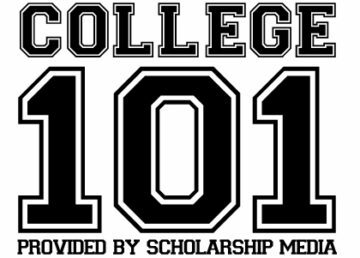 I have never, like, heard of any of them before I got here,” freshman Katherine Rossmiller said. As an annual tradition, both students and faculty enjoyed the event on a beautiful sunny day. SMU will play their rivals at TCU this Saturday, Sept. 16 at 2:30 p.m.